There is a reason why Alexandria Ocasio-Cortez has become the face of the Democratic Party. With almost childlike innocence, she challenges institutions in a way that is completely new for left-of-center politicians. Why should anyone be a billionaire? If the country is so rich, why do people work so many hours? Why can’t everybody have higher wages? All these questions have been studied by real economists, of course. 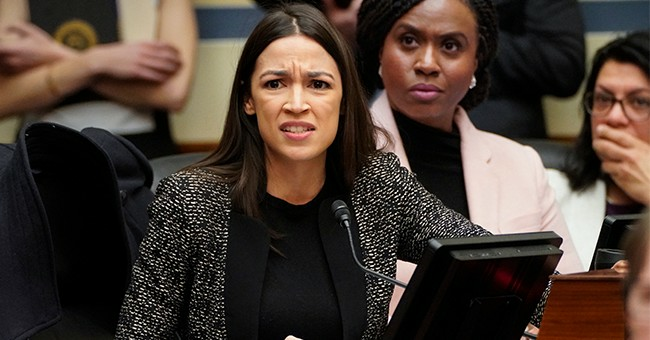 But AOC’s naïve approach to public policy leaves no doubt that she couldn’t care less what economists think. If AOC is the voice of the left, New York Times writer Paul Krugman is its brain. As the newspaper frequently boasts, he is not only an economist, he has won a Nobel Prize in the subject. But here is the catch. Krugman rarely ever attempts to introduce readers to the economic way of thinking. Day after day, in column after column, he reinforces the view that left-wingers don’t need to read textbooks or study economic models. Their gut instincts will do just fine. For Hollywood types who think the only reason there is poverty in the world is because of greedy capitalists manipulating a corrupt system and that all the world really needs is love, Krugman is a godsend. He never says these things, of course. No economist would. But he encourages his readers to think that way. Like religious zealots who yearn to escape the laws of nature and the laws of logic, there are legions on the left who yearn to escape the laws of economics. Krugman is like a secular priest who absolves the parishioners of the sin of having strong passions about subjects they know nothing about. But let’s start with the basics. There are two things you need to know about the left. In most cases, they not only don’t know any economics, they reject all of the discipline’s main conclusions. You’ve probably heard a lot about climate science deniers on the right from the mainstream media. What you rarely see in any news story is a discussion of economic science deniers. For example, the typical delegate to the Democratic National Convention believes that if a price is too high the government should force it down – and nothing bad will happen. If electricity becomes so expensive people can’t afford to heat their homes, or if the price of gasoline is so high people can’t afford to drive to work, or if rents are so high people can’t afford a place to live, there is one obvious answer. Price controls. Democratic politicians tend to be very selective about which prices to control – free health care and free college education for all, for example. But if you polled the Democratic base you would probably discover they believe almost everything should be free. And if not free, certainly priced low enough so that almost any family could easily buy it. Conversely, if a price is too low, the government should force it up – and again nothing bad will happen. The typical left-winger believes that the only reason there is poverty is because selfish employers pay low wages. The solution: make every wage a living wage. And not just in this country. They believe there would be no world poverty if every employer on the planet were forced to pay a living wage. Wages and prices should adjust to needs, not the other way around. The second thing you need to know about the left is that it is intellectually bankrupt. One hundred years ago, socialism was considered a serious idea – one debated in scholarly academic circles. But no more. If the twentieth century taught us anything it is that the left was wrong about every single collectivist idea – socialism, communism, fascism and any other version of collectivism you can think of. Because of collectivist ideas, millions of people were imprisoned, tortured and killed by their own governments. By the time we reached the end of the century, serious people everywhere turned to the right for policy ideas. Privatization, deregulation, the flat tax, personal social security accounts, school choice and many more innovations were instituted in countries around the globe. In fact, the entire public policy arena for the last half century has been almost exclusively focused on ideas coming from the right. Almost no idea worth seriously considering has come from the left of the political spectrum. Combine the absence of ideas that make economic sense with the belief that economic sense isn’t necessary anyway and you get . . ., well, you get AOC’s Green New Deal. Krugman knows something all economists know. If there is a reason to do anything about global warming, by far the most sensible and most efficient option is a carbon tax. That would encourage everyone to conserve in ways that cause the least amount of harm. But Krugman usually gives short shrift to ideas that make sense. All too often he implicitly gives aid and comfort to every silly environmental idea Californians can come up with. And the silliest idea of all is AOC’s. She rejects the price system entirely. Carbon emissions should be reduced to zero by command and control, she says. How she wants to achieve that goal would cost many times the size of our GDP. Krugman rails about global warming in column after column and usually ignores why markets provide the best way to address it. AOC is fine with that because she hates the idea of markets anyway. So, Krugman effectively ends up as a feckless propagandist for an approach that would produce economic disaster. A founder of Greenpeace, for example, says that under the Green New Deal, half the people in the world would starve to death; and in search of alternative sources of fuel, people would burn down all the world’s forests.